Peter Carl Goldmark was a Hungarian-American engineer who, during his time with Columbia Records, was instrumental in developing the long-playing microgroove 33-1/3 rpm phonograph disc, the standard for incorporating multiple or lengthy recorded works on a single disc for two generations. The LP was introduced by Columbia's Goddard Lieberson in 1948. Lieberson was later president of Columbia Records from 1956–71 and 1973–75. According to György Marx he was one of The Martians. The use of sequential color systems for moving images predates the invention of fully electronic television. Although usually known at the time simply as "additive" rather than sequential color systems, two-color Kinemacolor, in commercial use since 1906, and its predecessor three-color format, invented by Edward Raymond Turner and patented in 1899, were both sequential natural color systems for use with motion picture film. They utilized black-and-white film and rotating color filter wheels to record the amount of each color in the scene on alternating frames of the film, so that when the frames were projected by light of similar colors at a sufficiently rapid rate, those colors blended together in the viewer's eye and produced a wider range of hues. Due to litigation by William Friese-Greene, Kinemacolor ended up in the public domain in 1915, after which several derivative sequential color processes (such as Friese-Greene's Biocolour and the original Prisma Color) were developed. Some were brought to the point of being publicly shown, but during the 1920s they could not compete with rival bipack and other subtractive color processes, which were free of color flicker and did not require special projection equipment—the final multicolored images were right there on the film as transparent coloring matter. Additive color, or "additive mixing", is a property of a color model that predicts the appearance of colors made by coincident component lights with distinct colors, i.e. the perceived color can be predicted by summing the numeric representations of the component colors. Modern formulations of Grassmann's Laws describe the additivity in the color perception of light mixtures in terms of algebraic equations. It is important note that additive color predicts perception and not any sort of change in the photons of light themselves. These predictions are only applicable in the limited scope of color matching experiments where viewers match small patches of uniform color isolated against a grey or black background. Kinemacolor was the first successful colour motion picture process, used commercially from 1908 to 1914. It was invented by George Albert Smith of Brighton, England in 1906. He was influenced by the work of William Norman Lascelles Davidson and, more directly, Edward Raymond Turner. It was launched by Charles Urban's Urban Trading Co. of London in 1908. From 1909 on, the process was known as Kinemacolor. It was a two-colour additive colour process, photographing and projecting a black-and-white film behind alternating red and green filters. Patent diagrams of CBS field-sequential color system: Fig. 1 the transmission system, Fig. 2 the receiving system, Fig. 3 the color filter disk. CBS purchased its own television manufacturer in April 1951 when no other company would produce color sets using the system. Production of CBS-Columbia color receivers began in September;  they were first offered for retail sale in October. 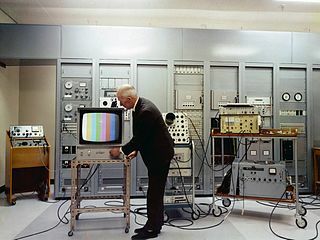 Field-sequential color broadcasts were suspended by CBS on October 21, 1951, ostensibly by request of the National Production Authority, which in November 1951 prohibited the manufacture of color sets for the general public during the Korean War. Only 200 color sets had been manufactured for commercial sale, and only 100 of those had shipped, when CBS suspended its color broadcasts. CBS announced in March 1953 that it had abandoned any further plans for its color system. RCA was the leading company in the television field, with a larger technical staff, more development funds, and more political success in getting the NTSC compatible color television system. RCA developed the hardware for NTSC which superseded the field-sequential system as the U.S. standard in December 1953. 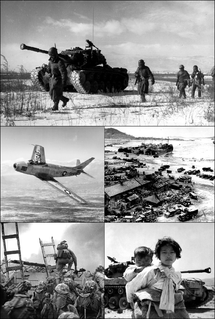 The National Production Authority (NPA) was an agency of the United States government which developed and promoted the production and supply of materials and facilities necessary for defense mobilization. It was part of the Department of Commerce. According to television historian Albert Abramson, A. A. Polumordvinov invented the first field-sequential color system. Polumordvinov applied for his Russian patent 10738 in 1899. This system scanned images with two rotating cylinders. A later German patent by A. Frankenstein and Werner von Jaworski described another field-sequential system. Like the CBS System, this patent included a color wheel. Frankenstein and Jaworski applied for their patent 172376 in 1904. This patent probably inspired John Logie Baird to use a similar color wheel in his system. The process consisted of first exploring the object, the image of which is to be transmitted, with a spot of red light, next with a spot of green light, and finally with a spot of blue light. At the receiving station a similar process is employed, red, blue and green images being presented in rapid success to the eye. The apparatus used at the transmitter consists of a disc perforated with three successive spiral curves of holes. The holes in the first spiral are covered with red filters, in the second with green filters and in the third with blue. Light is projected through these holes and an image of the moving holes is projected onto the object. The disc revolves at 10 revolutions per second and so thirty complete images are transmitted every second — ten blue, ten red, and ten green. For the first nine months of NTSC color in 1953–1954, CBS continued to use its field-sequential color television cameras, with the field rate and signal adapted for NTSC standards, until RCA delivered its first production model of an NTSC color camera in time for the 1954–55 season. Modern day Digital Light Processing (DLP) projectors commonly use color wheels to generate color images, typically running at a multiple of the video frame rate. Modern day LCD displays implement FSC by using several colors of LED backlight, by cycling the backlights, and gain several advantages such as brighter colors, darker blacks, and lower cost. These displays are used in LCD Camera viewfinders and other industrial applications. Interlaced video is a technique for doubling the perceived frame rate of a video display without consuming extra bandwidth. The interlaced signal contains two fields of a video frame captured at two different times. This enhances motion perception to the viewer, and reduces flicker by taking advantage of the phi phenomenon. The shadow mask is one of the two technologies used in the manufacture of cathode ray tube (CRT) televisions and computer displays which produce clear, focused color images. The other approach is the aperture grille, better known by its trade name, Trinitron. All early color televisions and the majority of CRT computer monitors used shadow mask technology. Both of these technologies are largely obsolete, having been increasingly replaced since the 1990s by the liquid-crystal display (LCD). Color Television Inc. was an American research and development firm founded in 1947 and devoted to creating a color television system to be approved by the Federal Communications Commission as the U.S. color broadcasting standard. Its system was one of three considered in a series of FCC hearings from September 1949 to May 1950. Unlike the winning field-sequential color system by CBS, the line sequential CTI system was all-electronic with no color scanning disk, and fully compatible with existing black and white receivers. Unlike the dot sequential RCA system, it used only one scanning tube in the camera and one picture tube in the receiver. CTI's camera used three lenses, behind which were mounted red, blue, and green color filters that produced three images side by side on a single scanning tube. At the receiver, the three images were received on three separate areas of a picture tube, each area treated with different phosphorescent compounds that glowed in red, blue, or green. Superimposing lenses were used to merge the separate images into a single color image on a rear projection screen in the television set. The penetron, short for penetration tube, is a type of limited-color television used in some military applications. Unlike a conventional color television, the penetron produces a limited color gamut, typically two colors and their combination. Penetrons, and other military-only cathode ray tubes (CRTs), have been replaced by LCDs in modern designs. The Apollo program used several television cameras in its space missions in the late 1960s and 1970s; some of these Apollo TV cameras were also used on the later Skylab and Apollo–Soyuz Test Project missions. These cameras varied in design, with image quality improving significantly with each successive model. Two companies made these various camera systems: RCA and Westinghouse. Originally, these slow-scan television (SSTV) cameras, running at 10 frames per second (fps), produced only black-and-white pictures and first flew on the Apollo 7 mission in October 1968. A color camera – using a field-sequential color system – flew on the Apollo 10 mission in May 1969, and every mission after that. The Color Camera ran at the North American standard 30 fps. The cameras all used image pickup tubes that were initially fragile, as one was irreparably damaged during the live broadcast of the Apollo 12 mission's first moonwalk. Starting with the Apollo 15 mission, a more robust, damage-resistant camera was used on the lunar surface. All of these cameras required signal processing back on Earth to make the frame rate and color encoding compatible with analog broadcast television standards. Television standards conversion is the process of changing one type of television system to another. The most common is from NTSC to PAL or the other way around. This is done so television programs in one nation may be viewed in a nation with a different standard. The video is fed through a video standards converter that changes the video to a different video system. The Chromatron is a color television cathode ray tube design invented by Nobel prize-winner Ernest Lawrence and developed commercially by Paramount Pictures, Sony, Litton Industries and others. The Chromatron offered brighter images than conventional color television systems using a shadow mask, but a host of development problems kept it from being widely used in spite of years of development. Sony eventually abandoned it in favor of their famous Trinitron system using an aperture grille. The Geer tube was an early single-tube color television cathode ray tube, developed by Willard Geer. The Geer tube used a pattern of small phosphor-covered three-sided pyramids on the inside of the CRT faceplate to mix separate red, green and blue signals from three electron guns. The Geer tube had a number of disadvantages, and was never used commercially due to the much better images generated by RCA's shadow mask system. Nevertheless, Geer's patent was awarded first, and RCA purchased an option on it in case their own developments didn't pan out. The Triniscope was an early color television system developed by RCA. It used three separate video tubes with colored phosphors producing the primary colors, combining the images through dichroic mirrors onto a screen for viewing. ↑ "Color Television Achieves Realism", New York Times, September 5, 1940, p. 18. A color 16mm film was shown; live pick-ups were first demonstrated to the press in 1941. "Columbia Broadcasting Exhibits Color Television", Wall Street Journal, January 10, 1941, p. 4. "CBS Makes Live Pick-up in Color Television Archived October 14, 2007, at the Wayback Machine . ", Radio & Television, April 1941. ↑ "C.B.S. Color Video Starts Nov. 20; Adapters Needed by Present Sets", New York Times, October 12, 1950, p. 1. Hugh Richard Slotten (2000). Radio and Television Regulation: Broadcast Technology in the United States 1920–1960. JHU Press. ISBN 0-8018-6450-X. ↑ William F. Schreiber, "Introduction to 'Color Television—Part I'", Proceedings of the IEEE, vol. 87, no. 1, January 1999, p. 175. ↑ CBS Field Sequential System: Advertisements, Early Television Foundation. ↑ "Hytron's Deal With CBS Seen TV Color Aid", The Washington Post, April 12, 1951, p. 15. 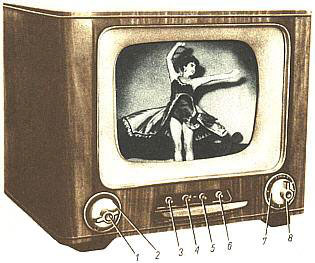 In June 1951, Philco offered 11 television models that could show CBS color broadcasts in black and white. "Philco Offers 11 TV Sets To Receive CBS Color TV in Black and White", Wall Street Journal, June 4, 1951, p. 9. ↑ "CBS Subsidiary Starts Mass Production of Color Television Sets", Wall Street Journal, September 13, 1951, p. 18. ↑ "Color TV Shelved As a Defense Step," New York Times, October 20, 1951, p. 1. "Action of Defense Mobilizer in Postponing Color TV Poses Many Question for the Industry," New York Times, October 22, 1951, p. 23. Ed Reitan, CBS Field Sequential Color System, 1997. ↑ Ed Reitan, CBS Field Sequential Color System, 1997. ↑ Albert Abramson, The History of Television, 1880 to 1941 (Jefferson, North Carolina: 1987), pp. 22, 277. ↑ Albert Abramson, The History of Television, 1880 to 1941 (Jefferson, North Carolina: 1987), pp. 24, 277. ↑ Dr. Alexander Russell, Nature, August 18, 1928. ↑ "Colour Television: Baird Experimental System Described", Wireless World, August 17, 1939. ↑ 1954 Russian Raduga (Rainbow) Field Sequential Color Set, Early Television Foundation. ↑ "Charles Poynton – Biography" . Retrieved March 24, 2013. ↑ "NSTS 1988 News Reference Manual" . Retrieved March 14, 2013. ↑ "The Advantages to Field Sequential Color Technology" . Retrieved May 2, 2016. Ed Reitan's Color Television History. Early Television Foundation: Early Color TV. Comparison of CBS, Col-R-Tel and Apollo moon TV technology. How experimenters converted NTSC sets to receive CBS System color. John Logie Baird, U.S. patent for color television, filed 1929.